Hot Cheesy Taco Dip: Perfect for your Super Bowl 50 eating pleasure! In a large pan over medium high heat add the oil, wait until oil is hot then add the onions, quickly sautéing for a few minutes until softened and slightly browned. Add ground beef, breaking it up into crumbles and allow the meat to brown and cook. Add the green chilies, stir and sauté for an additional few minutes. Stir in the taco seasoning, mix well and add water, continue to stir until all the powder has been dissolved. Allow to come to a simmer and cook for an additional 3-5 minutes or until most of the liquid has evaporated. Add the Rotel, stir to combine, cook for an additional minute or two, then add the ½ cup of green onions, stir to combine and cook an additional minute or two. Add the cream cheese and continue to stir until all of the cream cheese has melted and is smooth, make sure there are no chunks of cream cheese. Continue to stir, taste to see if you need any additional seasoning of salt and pepper. Bring to a simmer, cheese will be smooth and bubbly. Pour into a large heat proof serving dish. Top with grated cheese, tomatoes, olives and green onions. *This can be made the day before. To re-heat, put the cheese mixture in a large sauté pan and warm over medium heat, stirring occasionally until cheese is smooth, creamy and bubbly. Enjoy!! And may the best team win! Great recipe. 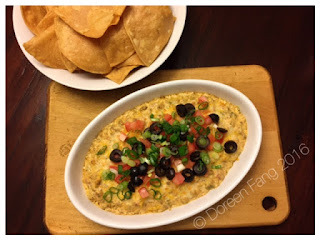 This hot cheesy taco dip will be on my list tyo make on my birthday. Hm, something special, I suppose but the recipe is really easy, thanks for it. It fits perfectly for some kind of holidays or whatever. Follow the link if you need more interesting recipes. It fits perfectly for some kind of holidays. Great recipe. This hot cheesy taco dip will be on my list tyo make on my party. Click on the download Tutu App switch of the application and wait till Click Here downloading and install finishes. After the completion of the download, TuTu Helpers most likely to the download. Technically speaking, reverse page4.me/ osmosis is not a water softener, yet a kind of Official Website filtering system. It does more than simply Fleck 9000 Twin Water Softener Review get rid of calcium as well as magnesium.Fleck Water Softener Reviews It additionally gets rid of various other pollutants.Many professionals Fleck Water Softener declare that reverse osmosis is one. I tried this recipe this weekend. I had the southwest flavored sour cream to use up.. very good. even when you mix it all up in a bowl! I have already tried this dish and I will definitely use the recipe for its preparation because it is incredibly tasty and delicious. This is an outstanding venue, with great and thoughtful staff, and a fantastic chef. The location of event halls for rent is well situated. We has been delighted to host our annual event at this location for the past few years, and the space has been perfect for our group of roughly 300.